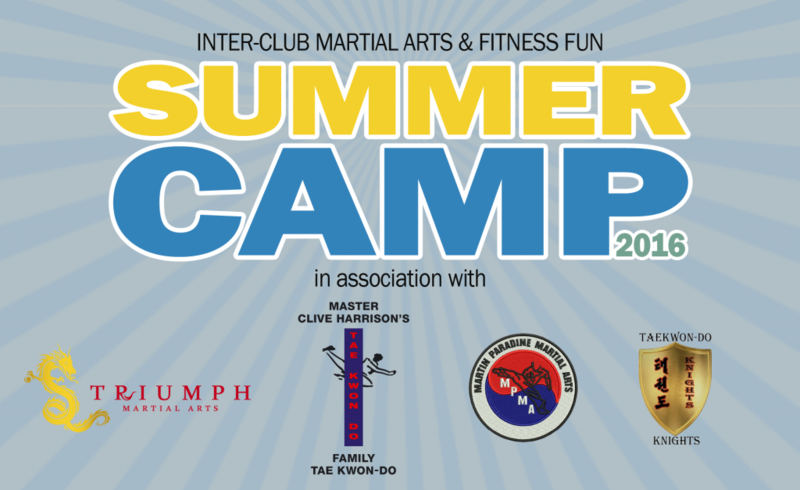 There is to be an inter-club Martial Arts and Fitness Fun Summer Camp 2016 being held in association with Master Clive Harrisons Family Taekwon-Do, Martin Paradine Martial Arts, Taekwon-Do Knights and Triumph Martial Arts. This will be a great get together for all clubs and there will be activities for the whole family to enjoy. Starting from 4.00pm on Friday 15th July with all day events running on Saturday 16th July and finishing up with a breakfast get together before heading home at midday on Sunday 17th July 2016. To be held at: Croft Farm, Bredons Hardwicke, Tewkesbury, Gloucestershire GL20 7EE. For more information see your club leader/instructor or take a look at the Summer Camp 2016 webpage (http://www.triumphmartialarts.co.uk/camp2016/ ) which has more details and also an itinerary of activities.